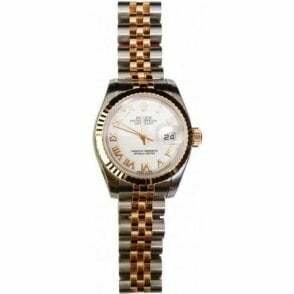 This pre-owned watch is Swiss made, and COSC chronometer certified. This durable watch comes with a second stainless steel bracelet, is antimagnetic to 4,800A/m and is water resistant to 120m. The ceramic bezel on this watch rotates unidirectionall, and the crown protective system prevents any anccidental alterations.